Internationally acclaimed hip-hop artist Talib Kweli will perform with a full live band at a free concert at Showbox SoDo in Seattle on August 19th to raise awareness about the dangers of the Trans-Pacific Partnership (TPP) agreement, an anti-democratic “trade” deal that was negotiated in secret with hundreds of corporate advisors. The event is part of the Rock Against the TPP tour, a series of concerts, protests, and teach-ins organized by digital rights group Fight for the Future and Firebrand Records, the new activist record label from Tom Morello and Ryan Harvey. Today, the tour’s organizers also unveiled additional dates on July 30 in San Diego, CA, and August 20 in Portland, OR. The San Diego date features Jolie Holland and rising East LA Chicano band Las Cafeteras. Golden Globe nominated actress Evangeline Lilly (Lost, The Hobbit, Ant-Man) will act as an emcee at all of the events announced so far. The Rock Against the TPP tour kicks off in Denver on July 23 at an event featuring legendary guitarist Tom Morello (Prophets of Rage, Rage Against the Machine, Audioslave), popular punk band Anti-Flag (who are also performing at the Seattle and Portland stops. ), Denver-based hip-hop outfit Flobots, and buzzworthy bi-lingual rockers Downtown Boys. Activists, musicians, and celebrities are coming together to sound the alarm about the toxic deal, which has little to do with trade, but would provide multinational corporations with new rights and powers that threaten good paying jobs, Internet freedom, the environment, access to medicine, and food safety. The West Coast tour stops will also feature renowned rock cellist Bonfire Madigan (Kill Rockstars, K Records), Firebrand Records artist bell’s roar, Puerto Rican vocalist Taina Asili, and Fight for the Future campaign director Evan Greer, the tour’s lead organizer. The Rock Against the TPP Tour is being organized by Fight for the Future, the viral Internet freedom group best known for organizing the largest online protests in history against online censorship and in favor of free speech and privacy. Firebrand Records, the new social justice infused record label co-founded by Tom Morello and Ryan Harvey, is acting as the tour’s artistic partner. The roadshow is sponsored and co-organized by a diverse coalition of groups fighting against the corporate power grab that is the TPP, including Citizens Trade Campaign, Communications Workers of America, CREDO, Demand Progress, the International Labor Rights Forum, Public Citizen, the Sierra Club, and the Teamsters. Additional Rock Against the TPP tour dates and participants will be announced in the coming weeks. About Talib Kweli: Brooklyn-based MC Talib Kweli earned his stripes as one of the most lyrically-gifted, socially aware and politically insightful rappers to emerge in the last 20 years. After nearly 20 years of releasing mesmerizing music, Talib Kweli stands as one of the world’s most talented and most accomplished Hip Hop artists. Whether working with Mos Def as one-half of Black Star, partnering with producer Hi-Tek for Reflection Eternal, releasing landmark solo material or collaborating with Kanye West, Pharrell Williams, Just Blaze, J Dilla, or Madlib, Kweli commands attention by delivering top-tier lyricism, crafting captivating stories and showing the ability to rhyme over virtually any type of instrumental. 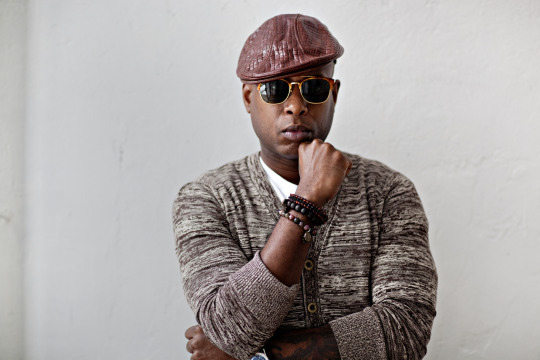 In 2011, Kweli founded Javotti Media, which is self-defined as “a platform for independent thinkers and doers.” Kweli has set out to make Javotti Media (which released his 2011 album, Gutter Rainbows, and is named after his paternal grandmother) into a media powerhouse that releases music, films and books.